Domestic violence survivor, Krista Fink, tells her “no-holds-barred” personal story in an effort to help others out of a horrific situation they find themselves. 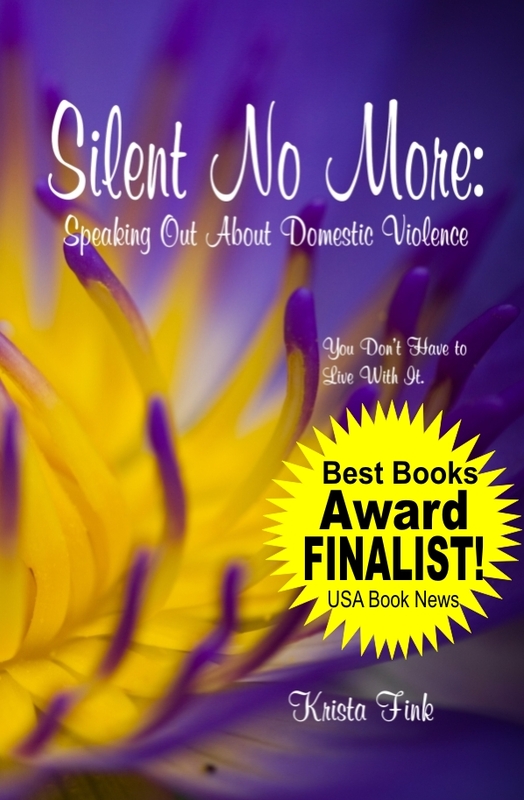 Silent No More – From a broken relationship to the excitement of a handsome adventurer, author Krista Fink stepped into an abyss of abuse and remained in a torturous marriage until she could be silent no more. After five years, and three attempts to leave, she made the final break. Only through her own determination and the help of the YWCA Resolve Family Abuse Program was Krista able to heal from her ordeal. This book recounts her personal experiences – no holds barred – in hopes of reaching even one person in a similar situation and giving them the lifeline of help they need to climb out of their own abyss. Krista Fink is a survivor of domestic violence and a high school teacher. She shares her experiences with her students so they will understand that it can happen to anyone, and that no one deserves to be abused. She gives presentations to medical professionals and advocates and is also available to speak to community organizations and educational institutions. She serves on the board of directors at the YWCA where she received support while recovering from her abuse, and she is active in fund raising for victims of domestic violence. Krista lives with her husband and children in West Virginia.